Lotus Make-Up sponsored India Fashion Week kicked off on 10th of October with aplomb. It had designers showcasing their collections for Spring/ Summer 2019. Presenting a rundown of the celebration that the first two days were! 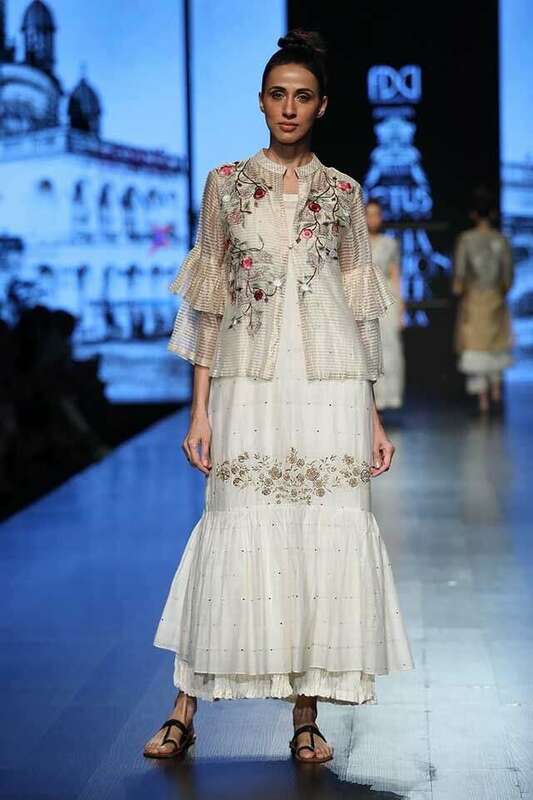 Recreating the mood of the time when Mumbai was still ‘Bombay’, Sumant Chauhan’s collection, was a collection of dramatic silhouettes and dreamy embroideries on soft hues of white and silver. 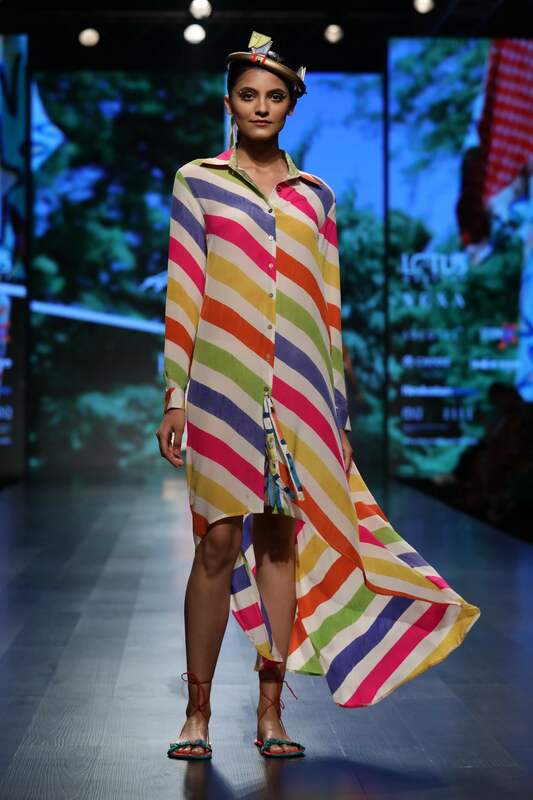 Stripes and floral patterns on asymmetrical dresses in varied bright shades of yellow, pink, blue and red dominated Anupama Dayal’s collection titled ‘BROKEN’ which was inspired from Japanese culture. From elaborate shoulders, bright kurtis to all things metallic. The glimmering collection of contemporarily stylized saris stole the show at Rimzim Dadu’s display on the ramp. 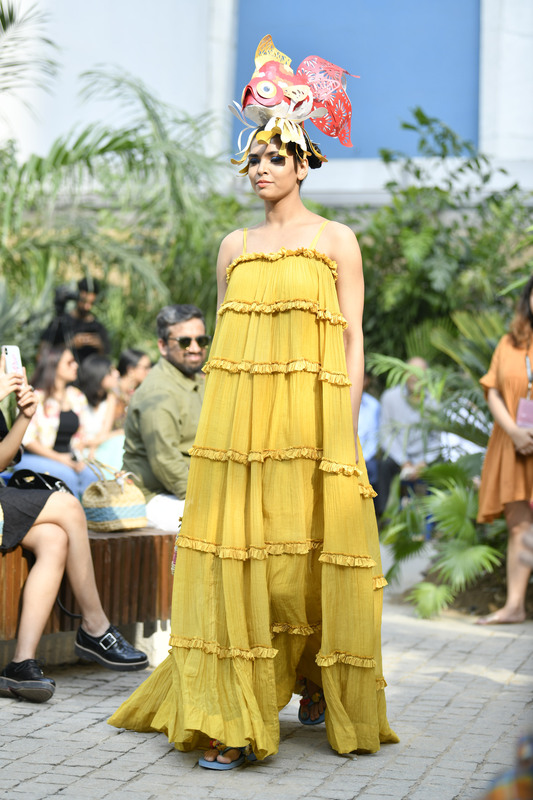 Aneeth Arora’s collection had beach inspired, flowy outfits in pastels. Coupled with an interesting dash of frills and ruffles and beaded fringed ends, ‘Finding Pero’ got us swaying to the holiday beats. Rohit Gandhi and Rahul Khanna’s collection titled ‘Twilight’ had Sonakshi Sinha as the showstopper. Decked in a body hugging sequined black dress, Sonakshi carried the look with absolute poise! Oh-so-pretty exaggerated frills and embellishments were all over the ramp for Gauri and Nainika’s show. Their feminity and grunge inspired collection had a soft pastel palette. 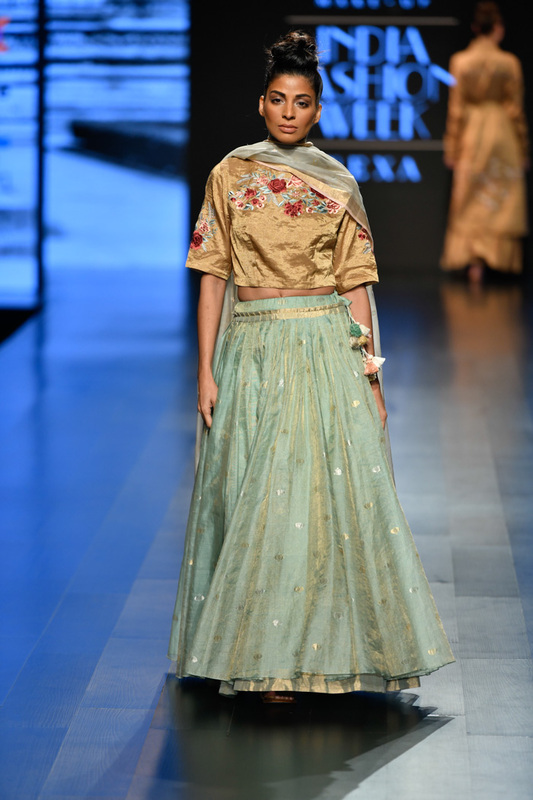 As a tribute to the 20th century, Prashant Verma’s collection ‘Maria’ shows the contrast between fears and desires. What caught the attention were his dramatic ruffles and oversized hats. Bhumika Jyoti gave us the perfect summer wardrobe inspiration in their breezy greens and whites. Clad in a parrot green outfit, the ravishing Sushmita Sen closed their show.